GO USA! Happy 4th of July! 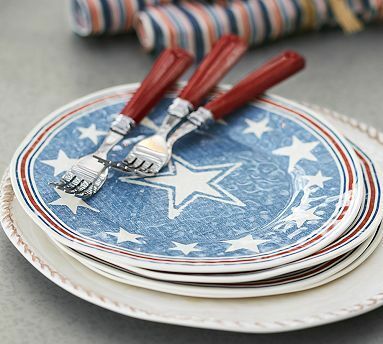 There is so much USA pride right now between the World Cup and the 4th of July approaching this weekend, one can not be thankful enough to live in this great country! 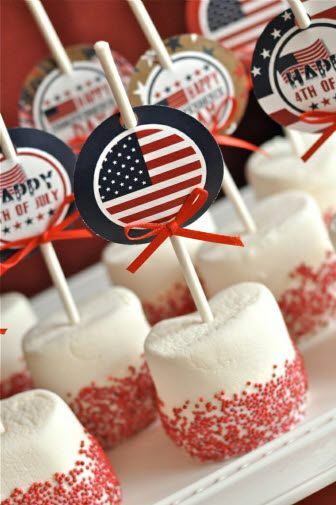 The Fourth of July is best known as Independence Day and commonly associated with family & friends, BBQ’s, fireworks, beaches, pools, picnics, concerts, parades and so much more! 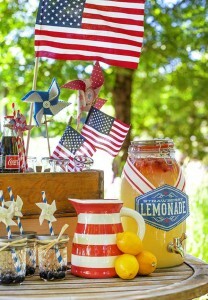 It is a summer tradition that we wait all year for, primarily because its FINALLY SUMMER! 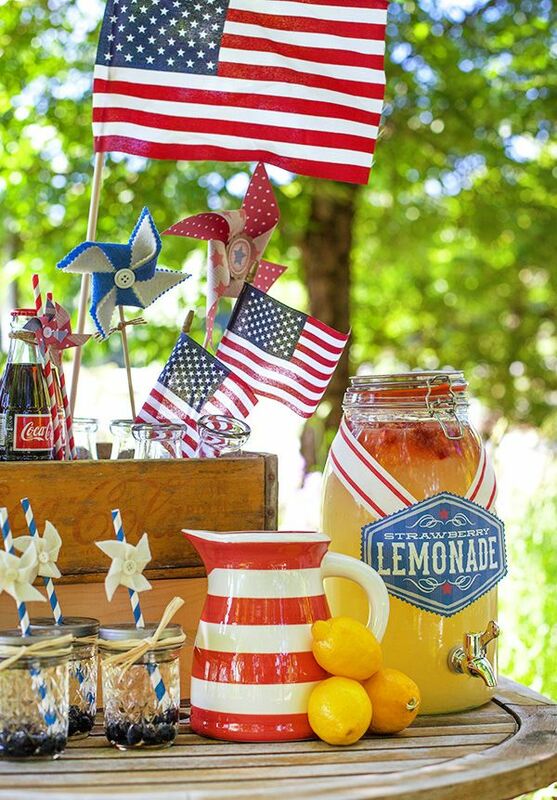 If you are celebrating USA in the World Cup & the 4th of July this weekend…have fun, loosen up and enjoy all that quality time with family and friends! But like Bella B always says, show off your great assets…SIMPLE & EASY ways to make your home, party, and get together a blast without breaking the bank! 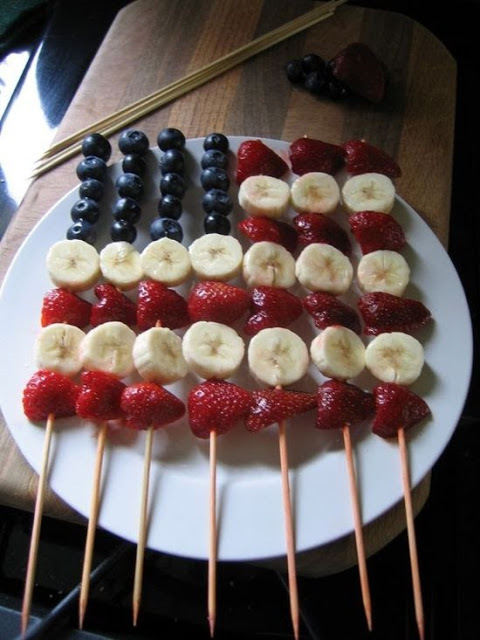 Let’s start with some fun foods. 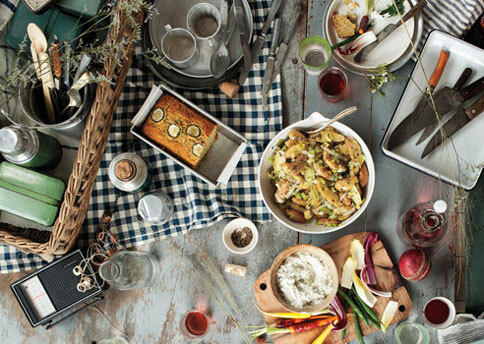 Who isn’t having a BBQ or a Picnic this weekend? Here are some really simple and easy fun foods to incorporate into the weekend, that will have your guests wanting more, more, more! 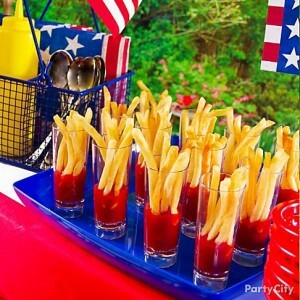 Grab a few glasses from your cabinet in your kitchen, layer ketchup at the bottom and throw french fries on top! One of the best ways to display fries for a BBQ kinda weekend! Try making this sweet and refreshing Salsa to show some 4th pride and knock the socks off of your guests! 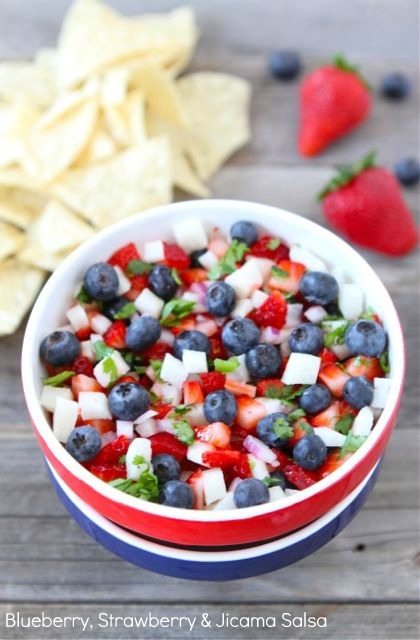 Its a Blueberry, Strawberry, Jicama Salsa – add in some mint, dash of olive oil, hint of honey if you want it a little sweeter and a touch of salt and lemon and you are on your way to deliciousness! 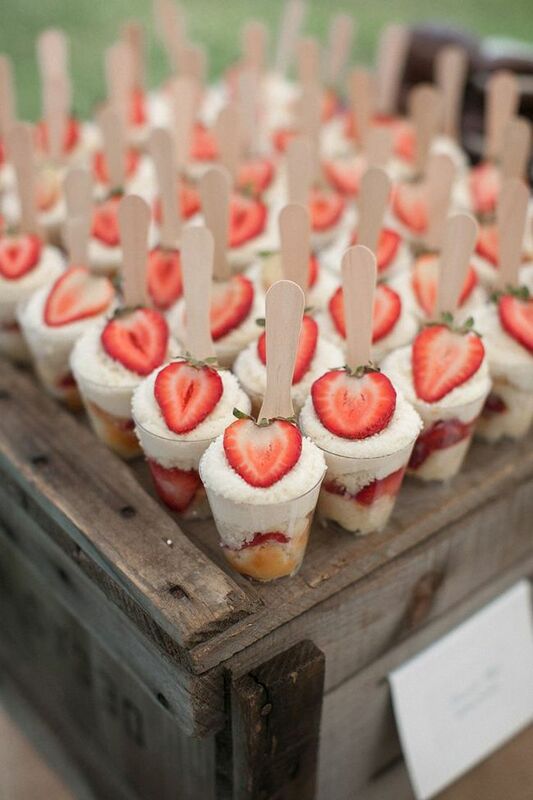 What party isn’t complete with sweets? 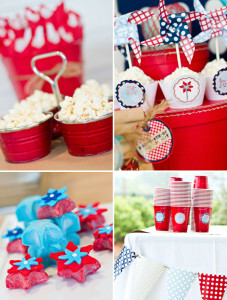 Here are a few great ideas for that touch of sweet on a warm summer night! Nothing too heavy, just a touch of sweetness that is a must after any meal! What comes after FOOD…DRINKS! You must have a great refreshing drink for your guests! 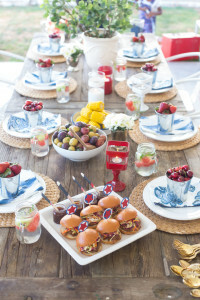 This is a great way to bring some color to the table and to your party. You can make either one of these drinks below with or without alcohol and all it requires are simple ingredients! 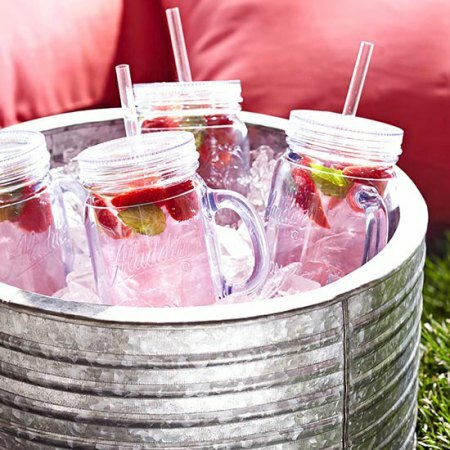 ALL DONE and you instantly have a variety of drinks for your guests. Hint: you can add sparkling water to jazz up the bubbly taste or one of your favorite sparkling wines like Prosecco! 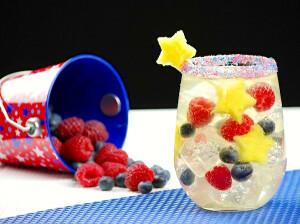 If you want to add a little more fun to the drink and get fancy…this is a really fun drink to make and again…simple and easy! 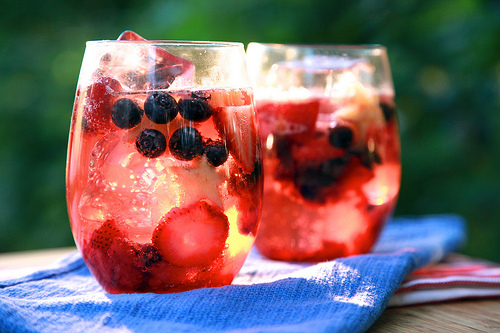 Pineapple and Berry Sparkling July 4th Refresher! On a small plate, combine sugar. Run a lemon wedge along the rim of a glass, then dip rim into sugar. Carefully fill glass with ice. Pour sparkling water & pineapple juice into the glass. Squeeze remaining lemon wedge into drink & stir to combine. Add raspberries, blueberries and pineapple. 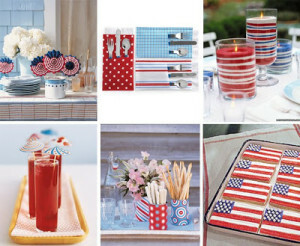 It’s a great time to feel the pride, so why not show off the RED, WHITE, & BLUE! 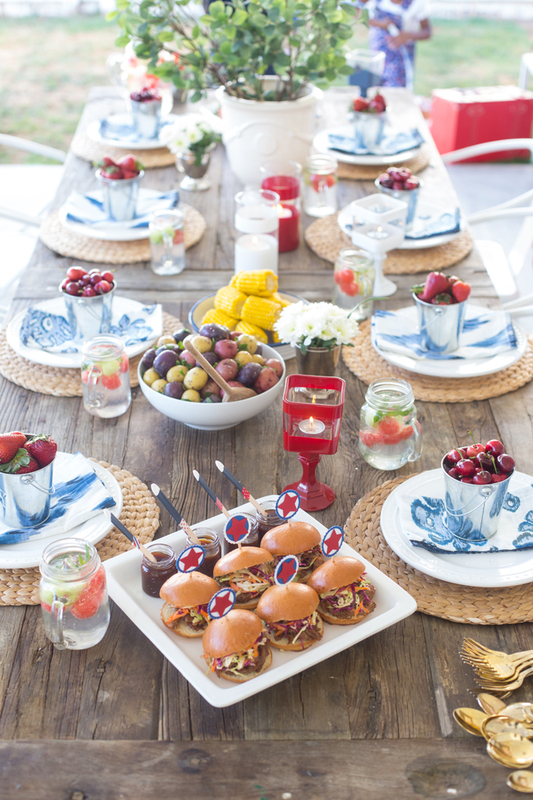 And hey…if you don’t have any Red, White, & Blue….you can still have an amazing 4th with a great classic picnic with loved ones! 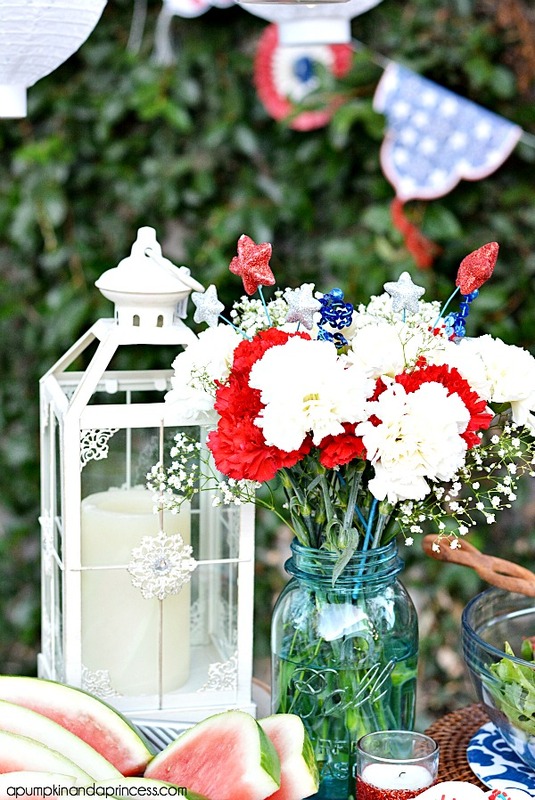 This entry was posted in Summertime Ideas! and tagged decorating ideas, decorato, home decor, interior, interior design, interiors, table decor, table setting, Table Settings, tablescape on July 1, 2014 by Blair.